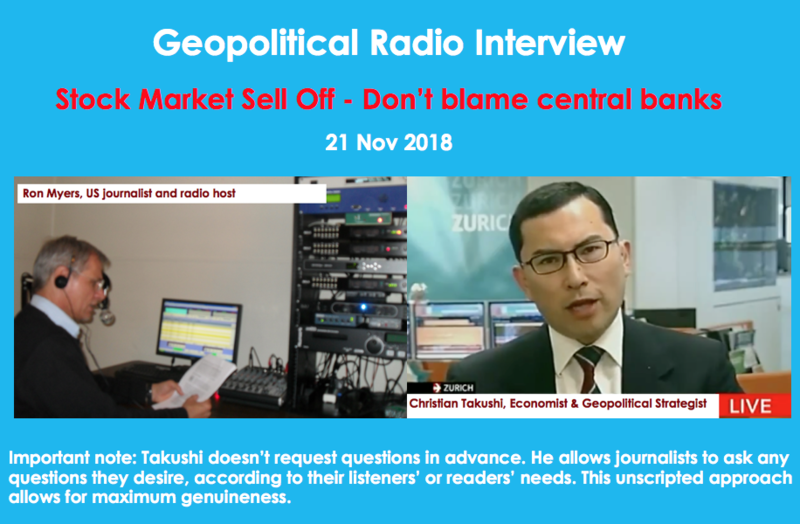 US Radio host Ron Myers interviews Economist Christian Takushi on 21 Nov 2018 on the global market sell-off this November. Important note: Takushi doesn’t request questions in advance. He allows journalists to asks any questions they desire, according to their listeners’ or readers’ needs. This unscripted approach allows for maximum genuineness.